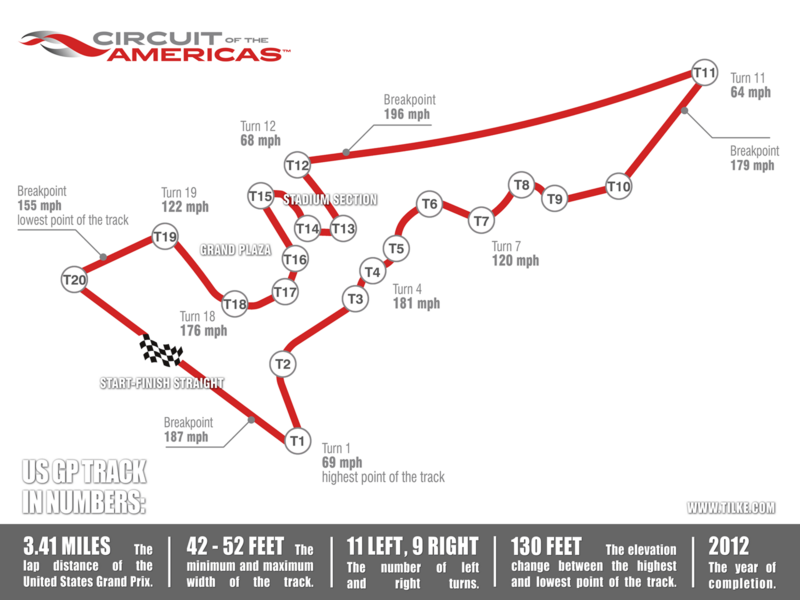 The Circuit is the only FIA-certified Grade 1 track in the United States, and one of only 26 Grade 1-certified motorsports facilities in the world. 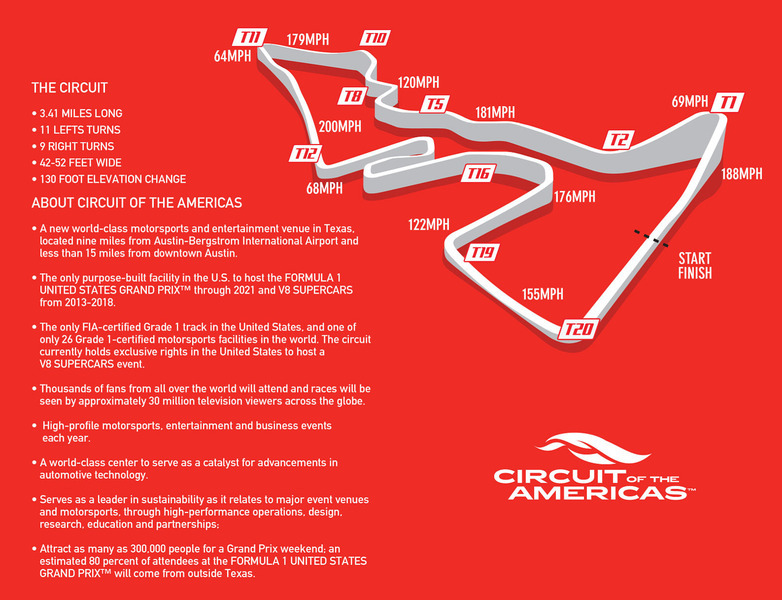 The Circuit of The Americas™ track is a 3.4-mile circuit track with capacity for 120,000 fans and an elevation change of 133 feet. It is ideally situated on a 1000-acre site in southeast Austin. The 20-turn, counterclockwise track, construction of which began in January 2011, draws inspiration from the best circuits around the world, as well as taking advantage of the site's natural topography to include dramatic elevation changes of up to 40 metres. 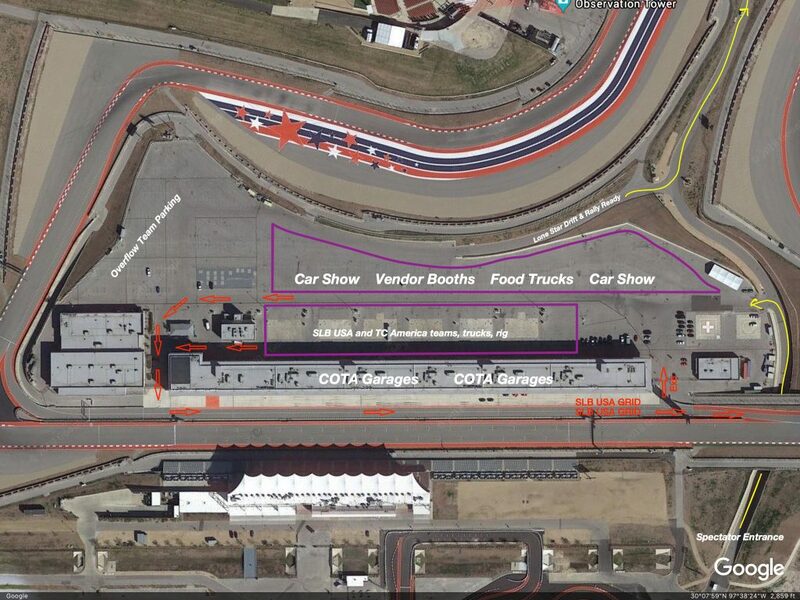 There is a steep, uphill run into the hairpin Turn 1, which has become the venue's signature corner. Turns 3 through 6 look not dissimilar to Silverstone's high-speed Maggotts/Becketts; Turns 12 through 15 give a nod to Hockenheim's stadium section; and Turns 16 through 18 will mirror the famous, multi-apex Turn 8 at Istanbul Park. The circuit was the first in the United States to be purpose-built for Formula One. 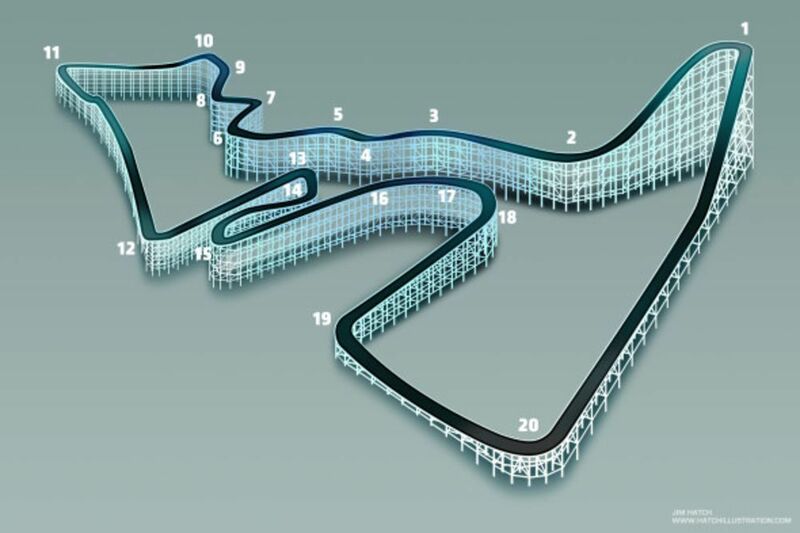 The layout was conceived by promoter Tavo Hellmund and 1993 Motorcycle World Champion Kevin Schwantz with the assistance of German architect and circuit designer Hermann Tilke, who has also designed the Sepang, Shanghai, Yas Marina, Istanbul, Bahrain, Yeongam, and Buddh circuits, as well as the reprofiling of the Hockenheimring and Fuji Speedway. The circuit has FIA Grade 1 license.